David Joel was raised in Beaumont, TX and first picked up a guitar at the age of 9. With hard work, persistence, and a little divine intervention, David has launched his music career. 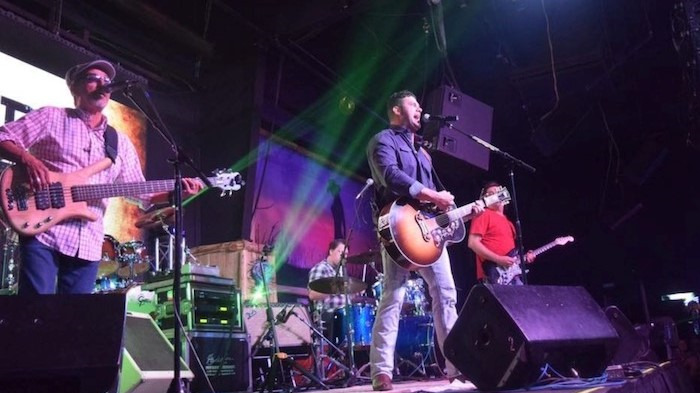 Having played fairs and festivals, clubs, bars, restaurants and casinos, David’s musical talents, high energy and friendly outgoing personality keep his audiences entertained and kicking up their heels. The good-looking country rocker will never fail to get the party started and keep it going all night. He has shared the stage with stars such as Gary Allan, Cole Swindell, Lee Brice, Mickey Gilley, Lee Greenwood, Johnny Lee, Steve Wariner, Kix Brooks, Wayne Toups, Roger Creager, Lonestar, Blackhawk, Aaron Watson, Gary P Nunn, Charlie Robison, Rick Trevino, Doug Stone, John Conlee, T.G. Sheppard, Mark Chesnutt, Tracy Byrd, Ray Wylie Hubbard, Ashton Shepherd, Bart Crow, Shanendoah, Stoney LaRue, Cory Morrow, Jason Boland, William Clark Green, & Whiskey Myers as he plays throughout Texas and into Louisiana, Oklahoma, Mississippi, and Florida.